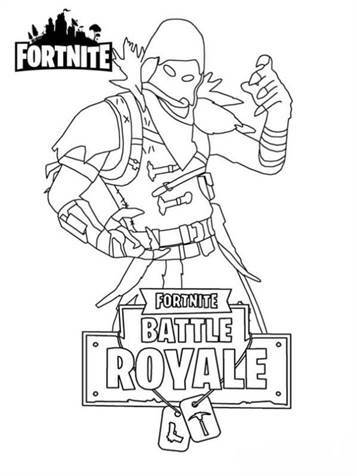 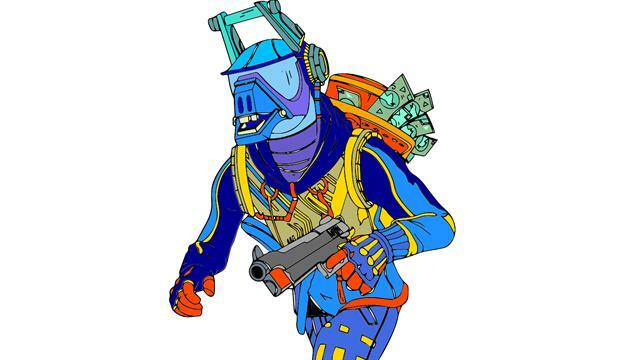 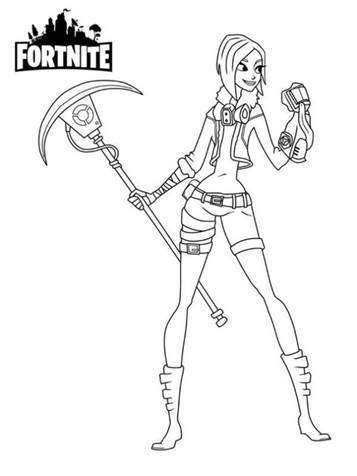 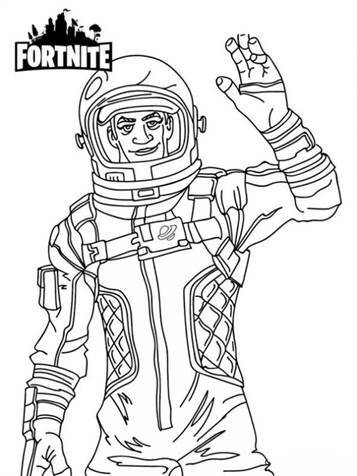 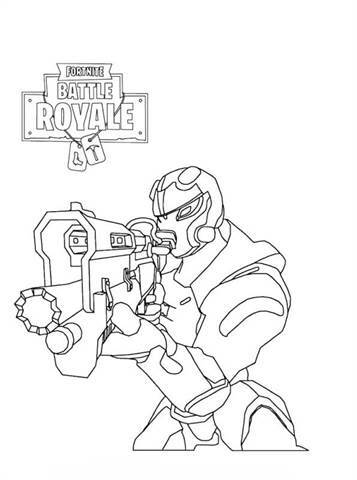 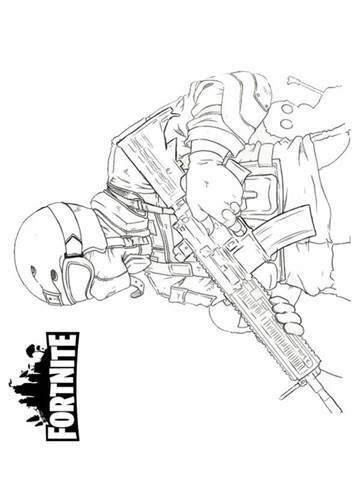 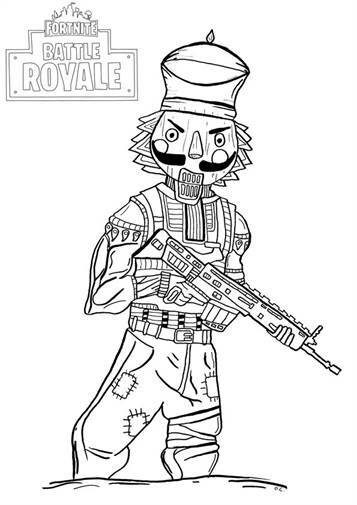 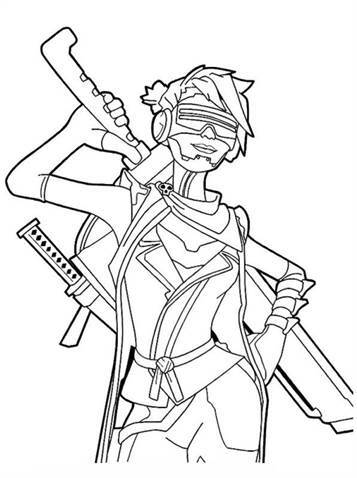 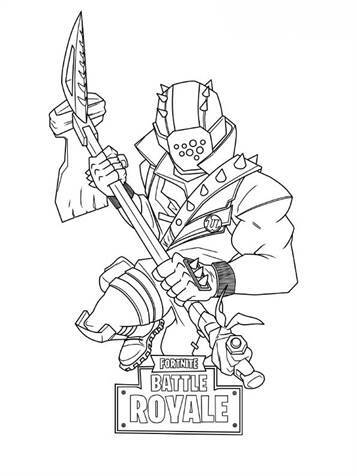 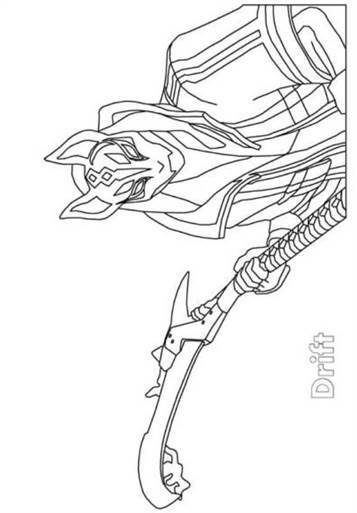 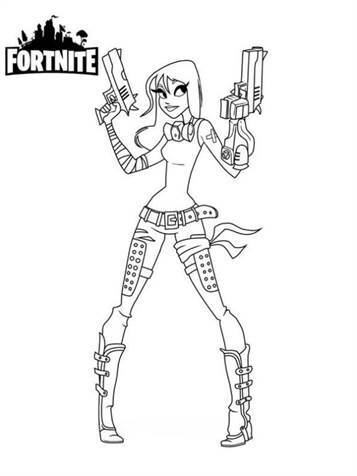 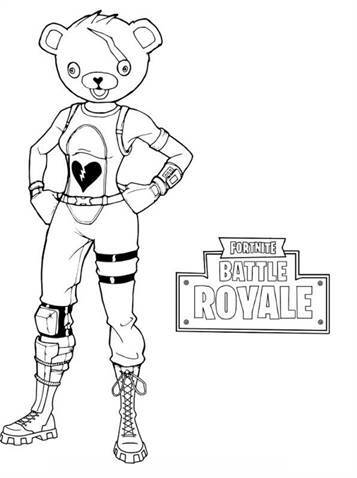 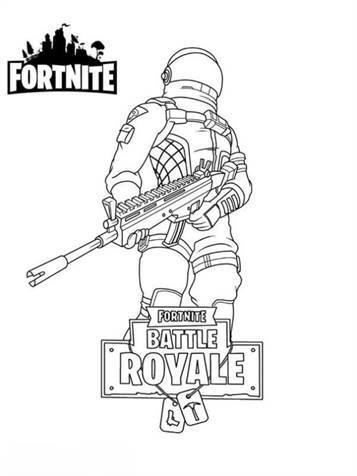 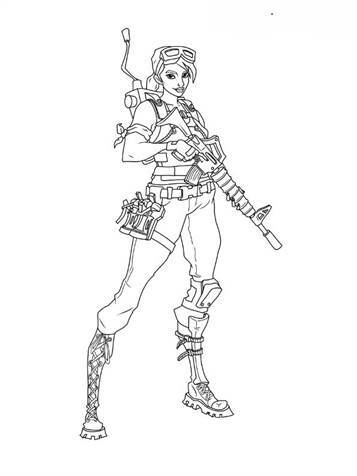 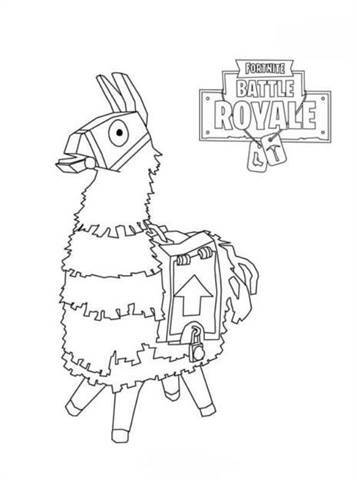 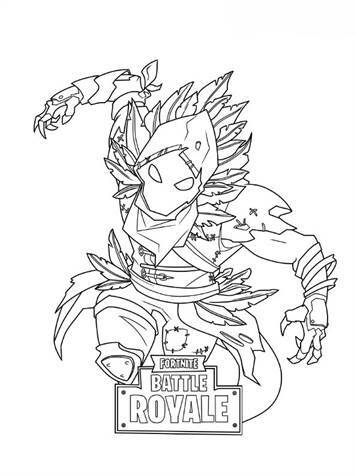 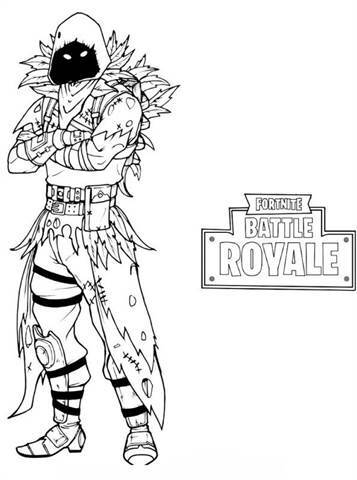 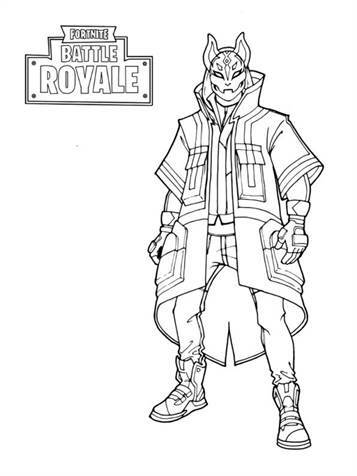 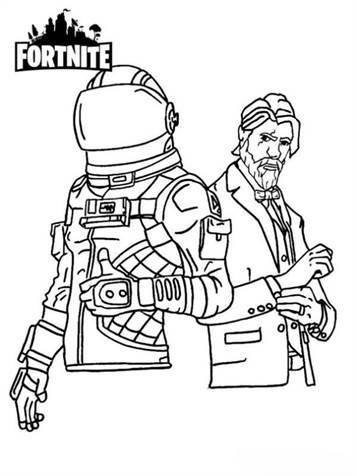 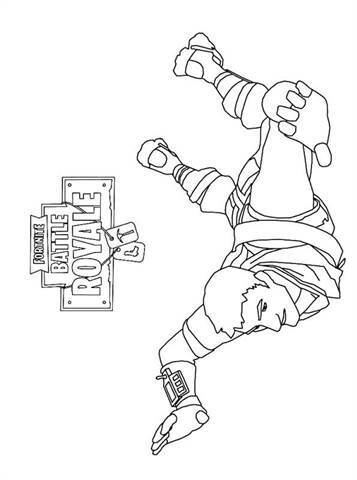 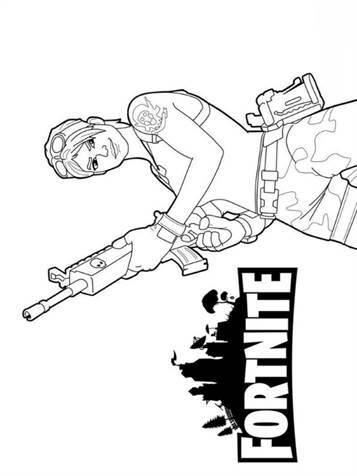 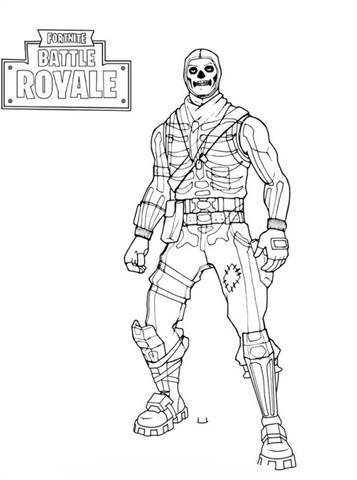 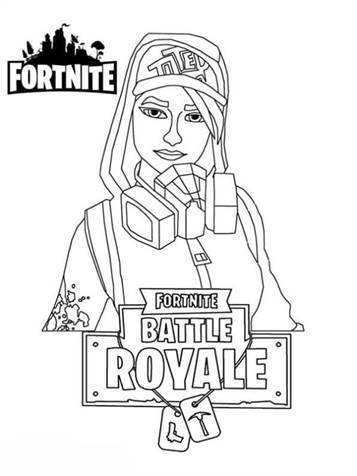 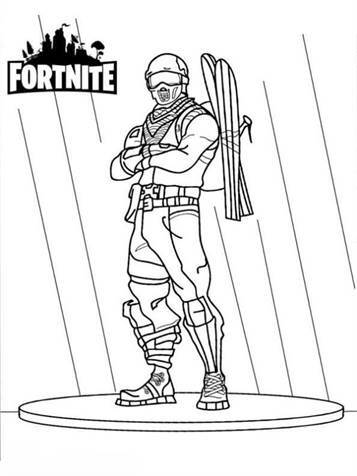 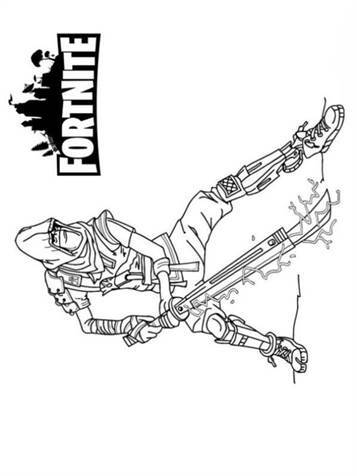 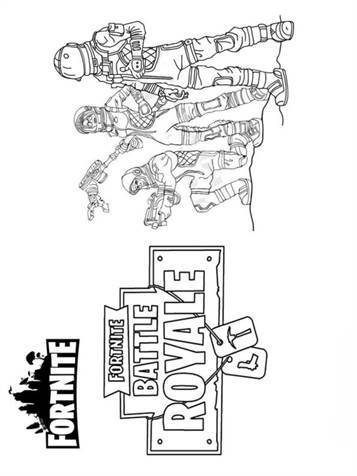 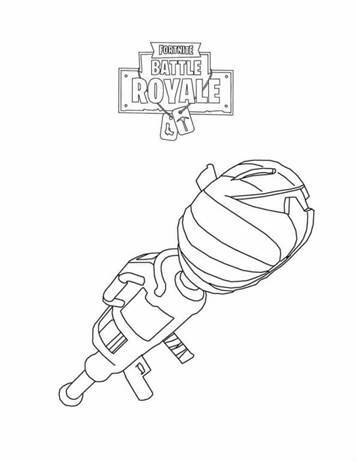 Coloring pages of the computer Game Fortnite from Epic. 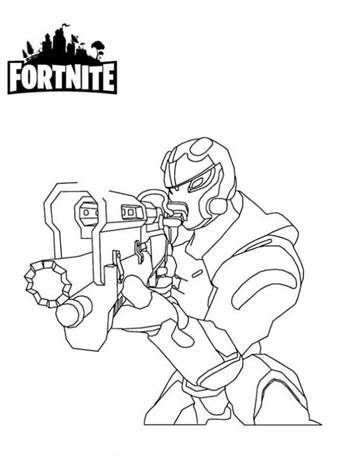 Fortnite is a Last man standing game. 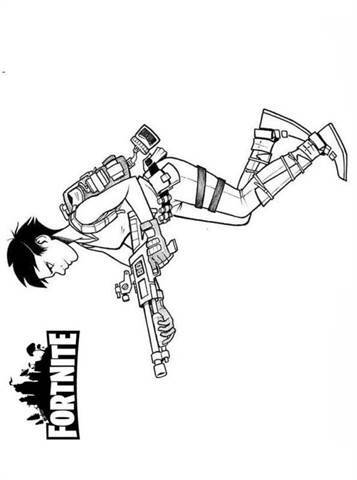 The players are dropped on an island with a maximum of 100 players. 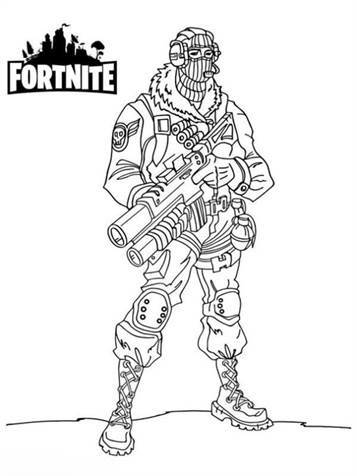 This can be done solo, with a duo and squad. 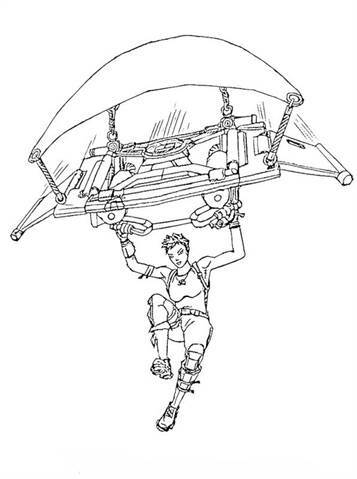 After the landing, the player must search for weapons in defense and to eliminate fellow players. 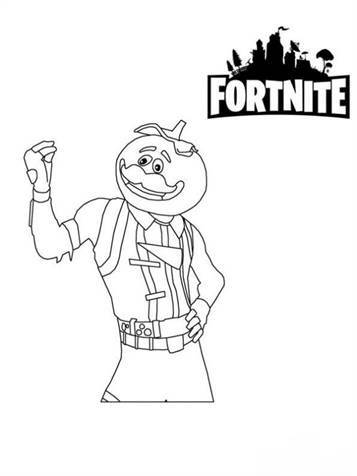 The playing field on the island is getting smaller due to a storm that is getting bigger and bigger. 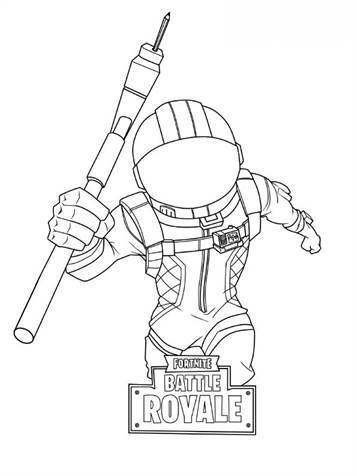 Because of this, the players will encounter each other at a given moment. 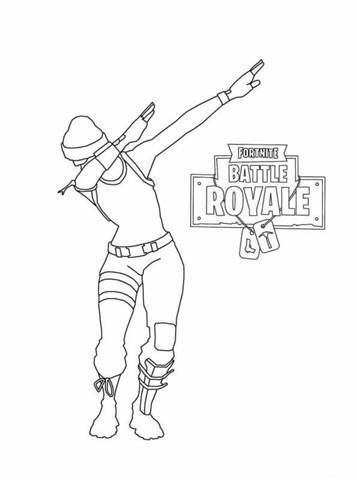 The player who is the last to survive is the winner. 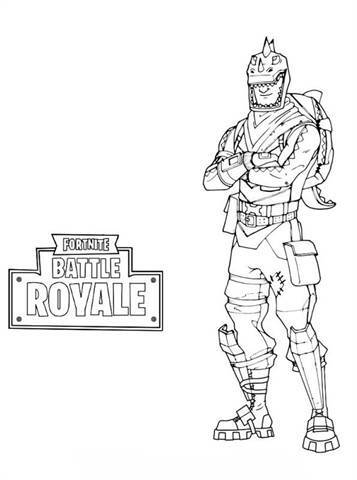 Because the Fortnite Battle Royale card is so small, the player can build his own defense, such as walls, floors and traps. 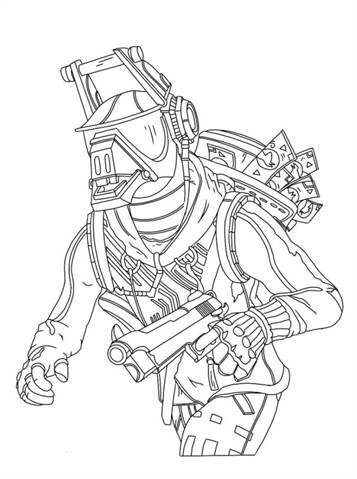 For this the player needs building materials that are to be obtained from destroying almost everything in the game. 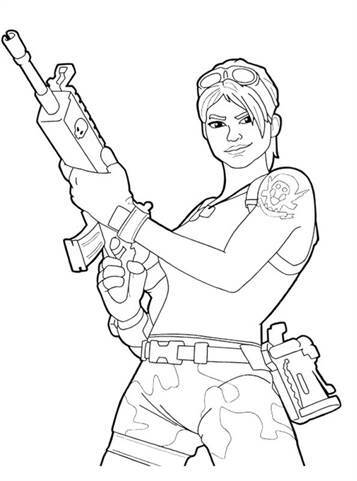 There are three types of building materials: wood, stone and metal.